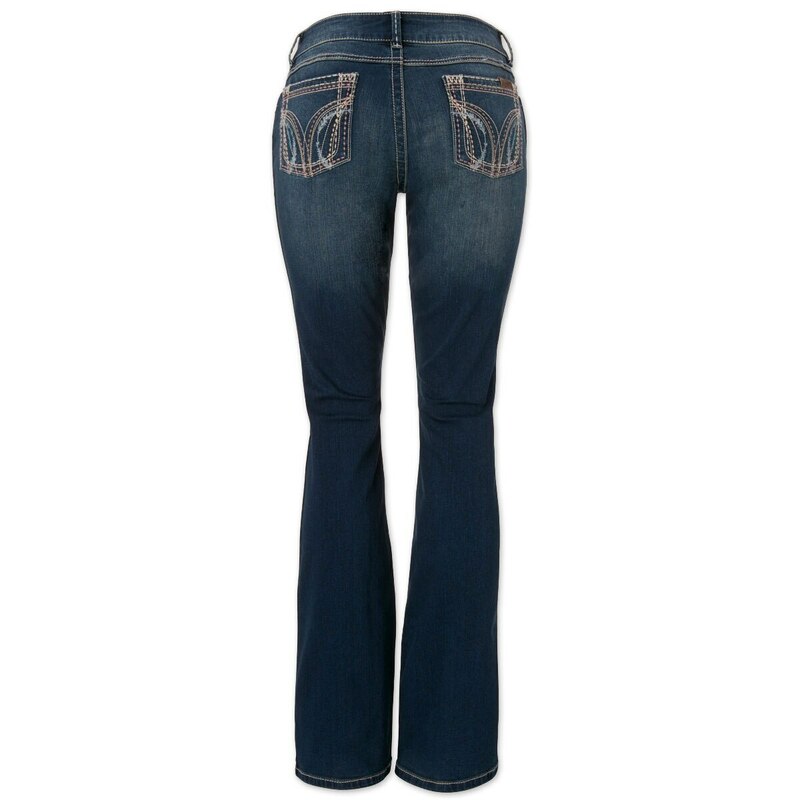 Booty Up™ technology is Wranglers patent pending jean construction that lifts and defines your rear view with strategically placed built-in darts. You'll find it in these Premium Patch® jeans. Sits slightly below waist for a mid-rise. The denim you love in an elegant cut that works beautifully paired with dressier tops or a blazer as well as a day at the barn. 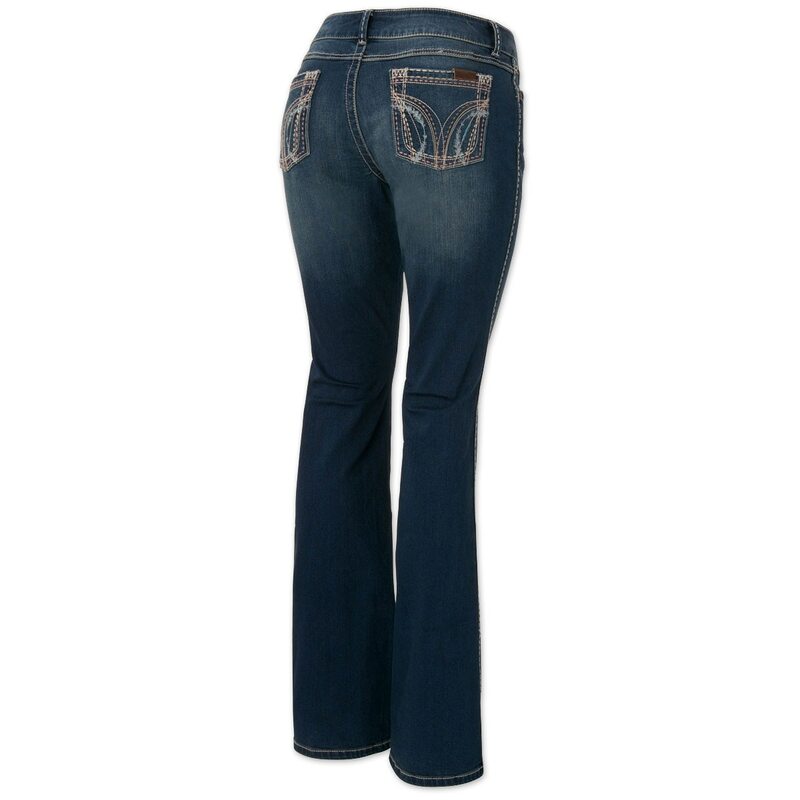 Add flair to any riding wardrobe with the Cowgirl Tuff Bold Aztec Jeans! 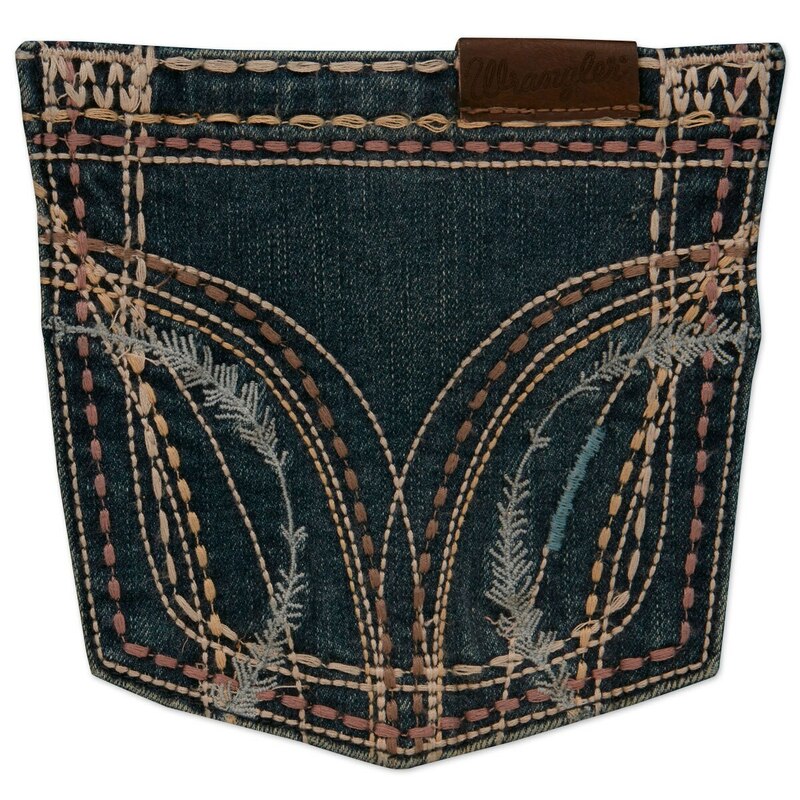 Medium wash denim with orange, blue, turquoise, and white mixed stitching. Heavy whiskering on the front on the jeans. Aztec embroidered back pockets. 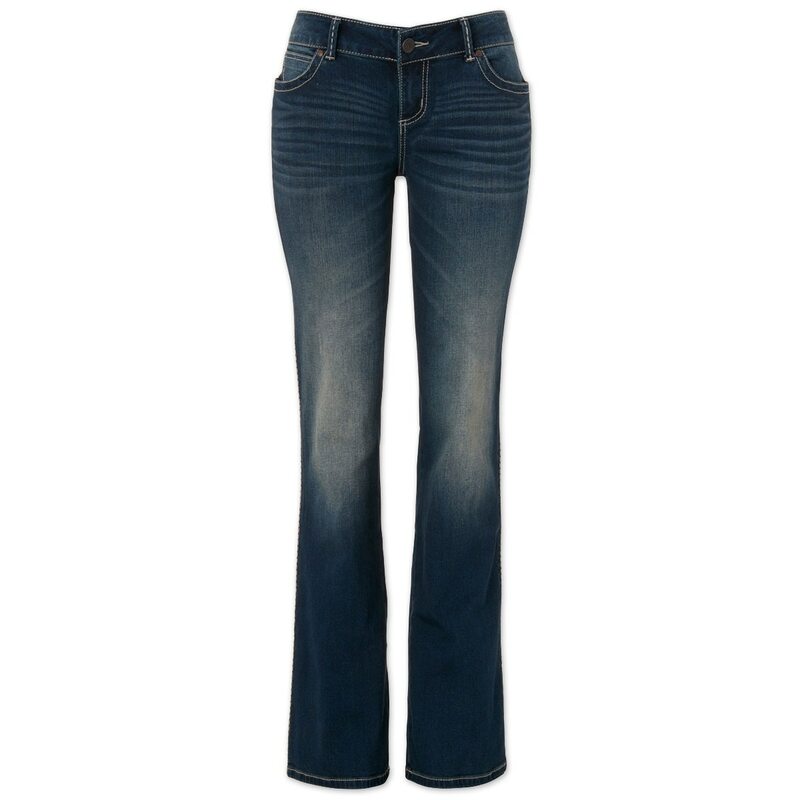 Where comfortable fit meets a stylish jean! The Copper Mustang Jeans from Cowgirl Tuff feature the signature barbed wire pocket, medium wash, and copper, black and white stitching. Heavy whiskering on the front of the jeans for added flair.